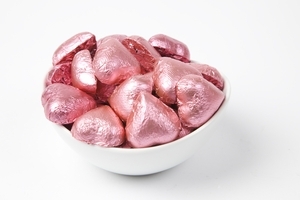 Guaranteed to warm the hearts of everyone in the room! 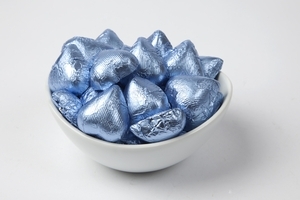 Luscious premium chocolate hearts, wrapped in beautiful Italian foil in a rainbow of elegant colors. 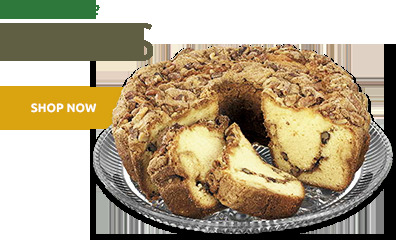 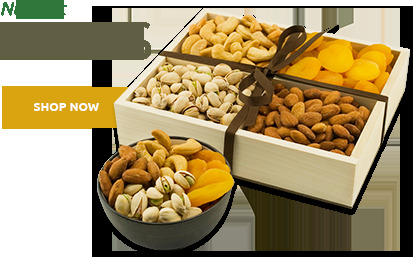 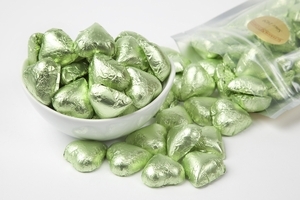 Could there be a more perfect candy treat to serve to your guests? 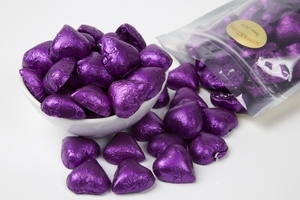 Specially molded in the traditional heart shape, our delectable Foiled Milk Chocolate Hearts are the ideal solution for anyone looking to create a truly stunning edible display. 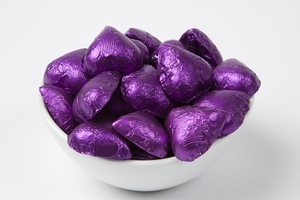 These large, unique treats have everything needed to make your wedding candy table one of the highlights of the occasion. 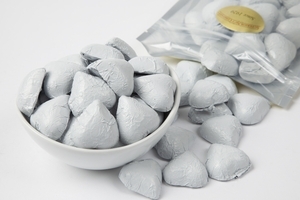 Made of rich, premium quality Belgian milk chocolate, these chocolate hearts are sure to satisfy the most discriminating palate. 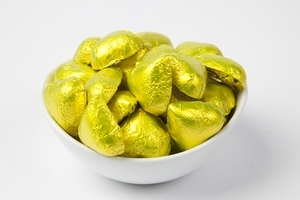 They come ready to serve, foil wrapped in your choice of a dozen exciting colors including brilliant gold, silver, and the traditional black and white. 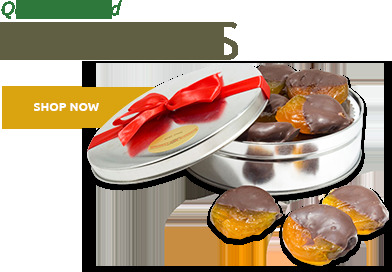 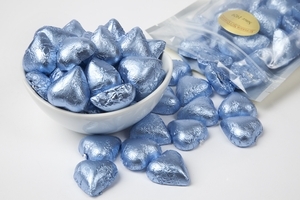 And you’ll really love the size—at only 54 pieces to the pound, and more than an inch across the shoulders, our delicious Foiled Chocolate Hearts offer each guest a substantial treat. 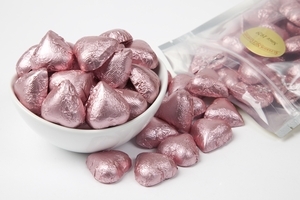 Building pretty displays is easy with our chocolate foil hearts. 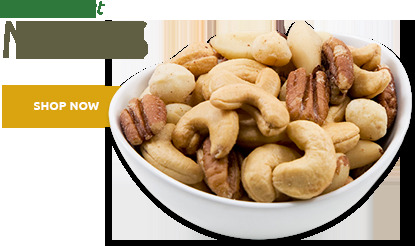 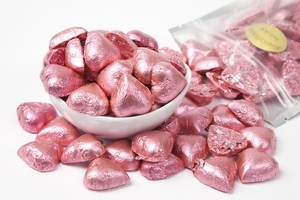 Because they’re heart shaped, they won’t easily clutter or roll off the tables, which gives you options beyond the usual jars and bowls (but of course, they look great in the traditional decanters as well!). 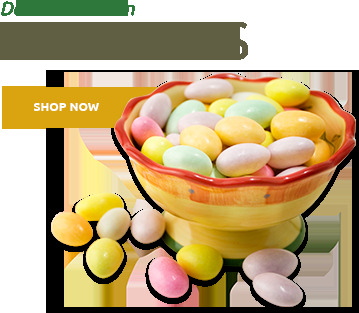 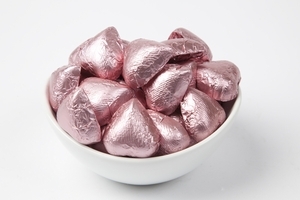 Pretty glass dishes and trays covered with our foil wrapped chocolate hearts add more color emphasis and make it easier for your guests to select their treats. 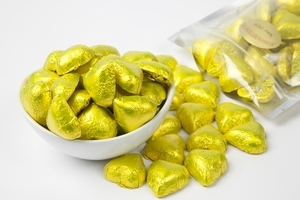 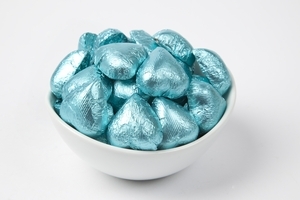 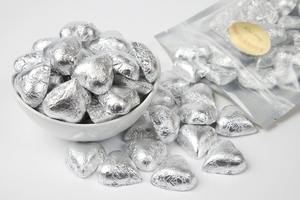 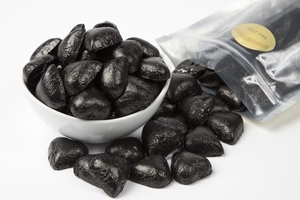 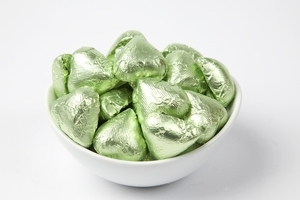 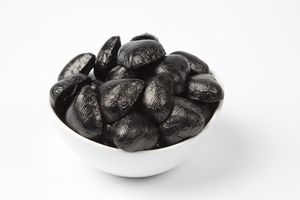 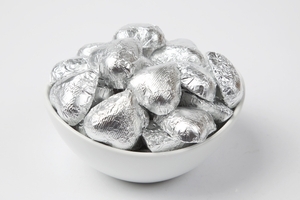 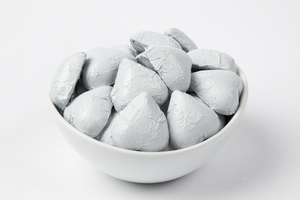 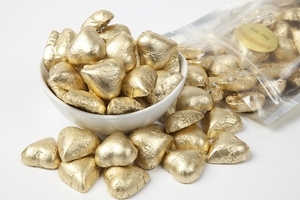 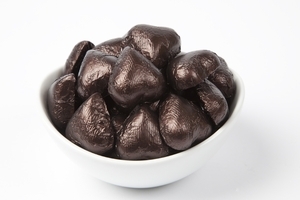 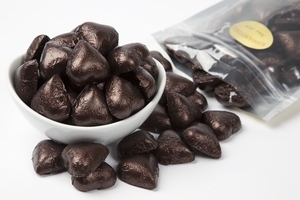 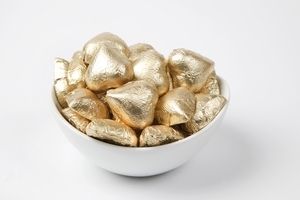 Foiled Chocolate Hearts from Superior Nut Store: what a wonderful way to dress up a wedding. 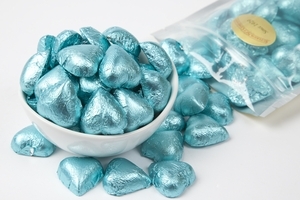 And of course, don’t forget Valentine’s Day!